Every day that I play, I find tables that have about two decent-to-good players, one or two maniacs, and then five or six players who seemingly try to play to win money, but just can't seem to get the knack of it. If you're one of these players, perhaps recently started playing poker, or just want to know what the trick to making money off of this game is, then I have a few tips and pointers I want to share. This article is the combined works of F Paulsson and gjshand. Poker is a game of skill (with an element of luck thrown in for kicks), take as much time to learn about the game and the way it’s played, as possible. There are so many ways to learn about poker you really are spoilt for choice. You can read books, watch the TV shows, find an endless supply of articles on the net or learn from someone who already plays. Poker is a social activity so just ask someone “Which book did you read?”, “Where did you learn to play?” and you will find most players will happily point you in the right direction, the chances are someone helped them. I personally like to use all the media I can. I started by reading only one book but it gave me a really good grounding for the game. I then spent a lot of time watching the TV shows and finding articles on the net to read (and re-read). There is one big word of caution I’ll mention, it has to do with the TV coverage of the game, it may seem the “easy” option and I’m sure it’s the root of a lot of people’s initial interest into the game but be careful. The TV coverage is designed to be entertaining, so by default the actual game play shown is selective. The show makers just can’t afford to show the 45 minutes of play where only 4 flops were seen so they will “chop” the footage, this definitely gives the viewer a better entertainment value but the actual education value is lessened, if you know and understand this then it is still a great resource. The place it all starts is with your bankroll. There are lots of articles on bankroll management, and how to best build it, so I won't go into that. I want to tell you some things about your bankroll that aren't necessarily covered in these articles, though. 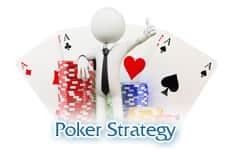 I want to also cover the importance of reading books and articles on poker in general, and your choice of poker game (hold'em, stud, omaha poker, etc) specifically. I want to contrast this to the almost infinite importance of experience. 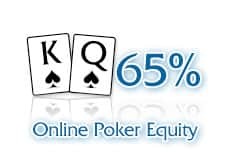 If you want to make money off of poker, which you probably do, you may want to start considering yourself a one-man-poker-corporation, with yourself as the investor. The idea is that you give your company a sum of money, and your company then tries to increase its own worth by winning at poker. If you're successful, your company will reach a point where its income is great enough to give a little something back to its only shareholder. How much should you invest in yourself? That's really up to you. For the target audience of this post, however, I'll suggest that you don't make it more than $100, but try to scrape up at least $50. I know there are plenty of people who will disagree with me when I advocate limiting your first investment to $100, because if you can afford it, you're always better off with a better bankroll. And I agree. But I also disagree. The reason you want to limit this first investment - your first step in becoming a successful poker businessman or woman - is that I want you to play micro limits. I want you to hit those $0.05/$0.10 limit tables. If you haven't been very successful up to this point when playing, then it's important to make sure that you limit your losses, because I want you to play as many hands as possible with this money. I want to make this point very clear: Your objective with the $50 is not to grow it into fame and fortune, it's to gain experience in playing the game. For all intents and purposes, you may think of it as a fee for a crash course in limit poker. If you manage to increase your bankroll while grinding out the thousands of hands that you need to play, great! If not, well, you're only down the fee you paid to get to the point where you can make money. I expect you to lose this $50, but if you really do stick with the lowest limits you can find, it will take you quite a while to do so. Not to worry, though, because it's all according to plan. Ah, yes, the plan. As a business owner, you're of course obligated to make a strategic plan for your company that you can present to your investor. Okay, maybe I'm going a little off the chart with the silly analogies here, but I want to stress the importance of having a plan, because having a plan makes you able to stick to something when times get tough. You may formulate your plan however you want, and put any rules you so wish into it. You may modify it as time goes by, but don't take a change-of-plan lightly. Remember that the reason you want a plan to begin with is so you don't do something foolish that you're not "allowed" to do, like sitting down at a table that's way out of your bankroll's league, because you're looking for fast money to cover up the losses you just sustained. There's a good rule to add to your ruleset, right there. Make a plan that covers more than just the scenario of you winning money. What's your course of action if your bankroll halves? Can you move down in limits? Do you have more money that you're able to re-stock your bankroll with? Read books! Read articles! Try to get inside the mind of some of the living legends of poker - how do they think? www.cardplayer.com has all of their magazines archived electronically and are free to read; a wealth of information that will take you weeks to get through. Not only will your skill increase without costing anything, but it will boost your confidence in your ability, as knowledge always does. A lot of the information is written in regards to limits that are greater in the big blind than your entire bankroll, and it could be successfully argued that the advice they give isn't applicable to the micro limit table. But it also serves to give you a sense of how there's something out there - a goal or a purpose of your play. Just think, if you manage to overcome the hurdle of playing the micro limits, you'll start playing the low limits, say $3/$6... And maybe one day YOU will sit down at a $30/$60 table with a bankroll that can more than handle any fluctuations of luck. How cool would that be? That day will seem very distant sometimes, when you get sucked out for the third time in a row by the same maniac who just can't seem to drop his third pair with a 2-kicker against your flopped two pair, at a table where the largest pot is $1. But it has been done by many before, and unless you know something about yourself that I don't, you can do it, too. A bonus tip on reading books: You can read them cover to cover, that’s fine, but be prepared afterwards to go back and review chapter for chapter individually. Personally, I like to re-read a chapter, then see if I can come up with situations myself where this is applicable. Then, I try to see if I can find out how the strategy presented fits into my own game, and think back to a hand that I played that would fit the situation. Finally, check Sklansky’s “Theory of Poker” to see how the strategy fits into the ToP (if it does). This goes back to your plan making. You don't have to make detailed plans for how and when you'll move up to a $10/$20 game when you're still at $.50/$1. But at least have the next two levels planned ahead. Remember to schedule those pay-outs, it might help to make you feel better about the grind that you have in front of you, or you might wait a year or three before you even see a cent of your earnings. When it comes to playing poker, it's all about knowing where your hand ranks in the scheme of things. Once you understand the chances your own cards have got you can focus better on the other players. To get you started we've listed all of the available poker hands, ranked in order from lowest to highest value. Even the bad beats are a positive experience. You may not even consciously know what you've learned from it, but your mind sticks those little bits of information into the great storage in your memory, and you'll come out a better poker player from it. You can even cherish those times that you go on tilt, because the more it happens, the easier it is for you to realize when it happens and you'll learn to deal with it. And it’s better to tilt at a $0.05/$0.10 table than at a $1/$2 one. I'm a big fan of analogies, so here's another one for you: Being an online player, you're likely to have taken advantage of one or more deposit bonuses that the different sites offer - "deposit $100, play x number of raked hands, and we'll give you $40 for free!" Now, when you played the bonuses, did you ever feel that it was "okay" to only break even at a table, because, hey, you're still up the bonus that you progressively earned during your hours at the table? I know I’ve thought that sometimes. That's how I want you to think about experience: even if you end up playing 6 hours non-stop at a table and you come out with exactly the amount you had as a buy-in, don't feel like you've wasted your time, but consider instead that you're now 500 hands richer in experience. Apply this to losses as well, because these micro-limits aren't where you ultimately belong anyway. This is all a part of your plan to accumulate experience, which is necessary in order to accumulate a larger bankroll, which will allow you to move up to the limits where you DO belong. And once there, chances are you'll chuckle to yourself about the time you sulked for two days over losing $10 over the course of three hours. If you're wise, you'll also look back on those days with fondness, because this is where you're building the foundation of your future earnings. You'll find, after thousands of hands, coupled with self-education, that your ability to play the game successfully comes virtually automatically. You can sit down at a micro-limit table and grind out easy earnings. Think back to how you used to fare, before you started being serious about it. Think of how much you've learned. 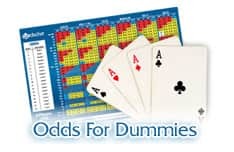 The next time you fold A6o in early position, did you notice that slight feeling of disappointment when you saw the cards? Do you remember how you used to be mesmerized by that ace? That's your experience at work, and it's making you money. However, the mind isn't always nice to us. It likes to play tricks on us, especially if the tricks make you feel better about yourself. You may feel like you're a winning player when you're not, because your mind is often defensive when it comes to being critical of yourself. This is why it's hugely important to keep track of your bankroll and how you've managed it. Now, optimally, you'll have a NETeller account (yet another great article to read about that here on CardsChat) that you've only once made a deposit to, and therefore you know that you can't possibly be down more than that one initial buy-in by just looking at the balance there. But keeping records serves more purposes than just warning you when you're heading in the wrong direction, it's also another way to boost your confidence if you're a winning player. NEW TO POKER? TAKE ADVANTAGE OF OUR POKER BONUSES AND EARN YOUSELF SOME FREE MONEY! Make a table in Excel, or Notepad, or whatever. Write down how your bankroll changes, perhaps once per week. You could look at individual days or even individual sessions if you like, but short term losses should realistically be ignored in favor of long term winnings. Therefore, I think it's wiser if you focus on a weekly basis, for the same reason the Weight Watchers don't want you to weigh yourself every day; it may end up being counterproductive. Once you've established yourself as a winning player on a long term basis, you've earned yet ANOTHER boost to your game: You should have gotten the ability to shrug off a bad night without even thinking twice about logging off. Because you know that your success isn't measured in how you managed that night, you can grumble about the bad beat and then go do something else and not let it get to you. Note that one week is hardly “long term” either, but it should be long enough that you don’t agonize over one night’s losses. Don’t get over-confident. I did and you will. You’ll get the hang of the basics, win a few hands, build your bankroll a little and say to yourself “I can make more at the next level!” It could be a big mistake. If you’re not ready then you’ll lose faster than ever. The best advice here is overplaying each level. When you think you’re ready to move up, play the same amount of time at the same level again. If you have played 10c/20c for 2 weeks and want to move up to 25c/50c, DON’T. Stay there for another fortnight. If you still feel ready to move then go ahead. I spent my first 6 months playing 10c/20c then 25c/50c, built my bankroll from $100 up to a little over $300, I decided to move up to 50c/$1 and lost the lot in a weekend (It didn’t help with the $20/$30 sit’n’go tourney’s I was entering, all due to over-confidence). PATIENCE!!! This has got to be the most widely and most frequently referred to of all advice given in the world of poker and probably the most important. Bad cards come, in big clumps sometimes, as do aggressive players. You need to find it within yourself to stay focused and play the game without getting drawn into making plays you know you shouldn’t. The lack of patience in my opinion is second only to lack of skill as a cause for losing money. Although this is one of the greatest skills to possess it is also the one easiest to lose sight of. Playing while tired, drunk or while aggravated are just some of the reasons you can lose patience. This will (I guarantee) be the biggest downfall while you get to grips with the game, nip it in the bud and gain that self-control as early as possible. Poker is a game, and very few of the people who play it are out to earn a living from it. There are players who know that they're not making the correct plays, but they're more concerned with having fun than making money. Don't yell at them for playing the game their way - don't call people idiots because they sucked out on you. It stings when it happens, but as long as people are playing by the rules, be nice and shrug it off. Bad beats happen so often that if you learn to keep your temper in check, you'll find that the sting wears off really quick. Learn to chuckle at the bad beat. Also, be involved in the discussions here at CardsChat. 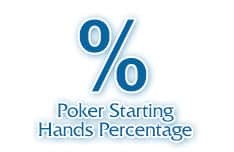 Post your hand histories, so others can give input on how you could have played a hand differently, or post your own advice on other peoples' hands. Everyone learns, everyone gains. F Paulsson says: Read books! Read articles! Try to get inside the mind of some of the living legends of poker. Not only will your skill increase without costing anything, but it will boost your confidence in your ability, as knowledge always does. Gjshand says: I'd like to make you aware of a simple fact, "any two cards can win". Whether it's to your advantage or disadvantage, just be aware of it.